Let’s imagine that you have missed 3 mortgage payments or your lender has filed a Notice of Default (NOD). If these kinds of things happen you’ll face a foreclosure. That means that you may lose your property. It’s also important to note that a foreclosure negatively affects your credit. 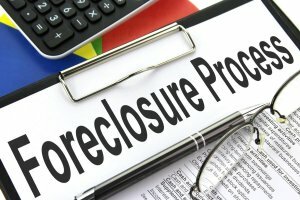 So, the big question is – can a foreclosure be stopped? Today, we are going to help you find the correct answer to this important question. In other words, we would like to provide home buyers with the strategies they can use to stop a foreclosure. In addition, we’ll describe the pros and cons of each strategy in detail. As a result, home buyers will be able to get insights into the problem and then figure out the best way to stop a foreclosure. If, for any reason, you find it difficult to make regular mortgage payments – don’t panic! Keep in mind that things only get worse when borrowers go into panic. A solution always exists! On the other hand, you shouldn’t wait until your house goes into a foreclosure. The best thing you can do in this situation is to contact your lender as soon as possible. Those home buyers who are looking for ways to stop a foreclosure need to pay a close attention to foreclosure workout options. It’s crucial for you to know that the vast majority of lenders usually agree to provide borrowers with different types of foreclosure workout options. These days, you can consider such options as loan modification, repayment plans, reinstatement, VA Refunding, forbearance as well as re-amortization and many others. So, if you reach a “workout” agreement with your lender you’ll be able to modify your mortgage successfully and this may help you stop foreclosure in the end. Deed-in-Lieu of foreclosure is the process when a borrower backs a home to a lender voluntarily. In return, a lender forgives the mortgage and stops the foreclosure process. Deed-in-Lieu of foreclosure is very beneficial for lenders. The procedure provides lenders with an easy way of taking a home back. Deed-in-Lieu of foreclosure is also a good option for homeowners who can’t sell their property quickly to pay off the debt effectively. Bankruptcy is a legal action that gives homeowners an opportunity to stop a foreclosure. Actually, the foreclosure is frozen when a home owner files for bankruptcy. When it comes to filing a bankruptcy, it’s incredibly important for home buyers to know their rights and laws quite well. So, if you would like to figure out if bankruptcy is a good way for you to stop a foreclosure or not, then it makes sense to consult an experienced lawyer. After analyzing your situation carefully, a bankruptcy attorney will tell you about all of your options and after that help you make the best possible choice. Finally, you’ll get an understanding of what needs to be done to get your mortgage back on track. Bankruptcy is an effective solution for those homeowners who have lost their jobs while making regular mortgage payments. Oftentimes homeowners choose to take advantage of bankruptcy to replace a lost job with a new one and recover financially. The bankruptcy process provides a borrower with the perfect opportunity to buy some time and stop a home foreclosure. A short sale (a pre-foreclosure redeemed) is also one of ways to stop a foreclosure. Obviously, you should try to do your best to sell your house before a lender files a Notice of Default and an auction is scheduled. You should also do every single thing possible to sell your home even if the foreclosure process has already been initiated by a lender. It’s clear that a foreclosure is a big problem both for a homebuyer and a lender. However, you’ll be able to make things much easier if you find a qualified buyer for your home by yourself. So, if you have a good short sale offer – present it to your lender as soon as possible. After considering your offer, a lender will most likely approve it. If you find a buyer for your home you’ll help a lender save a lot of time. On the other hand, you’ll be able to make a better deal and, most importantly, stop foreclosure. It’s a great idea to consider a short sale if your home costs less than you owe. You need to know that a short sale negatively affects a home buyer’s credit. However, a foreclosure will have a more powerful negative impact on credit. That’s the reason why you need to cooperate with your lender and do everything possible to benefit from a short sale. It’s something that can help you stop a home foreclosure. Sometimes, it’s hard for homeowners to choose the appropriate workout or refinancing option. Borrowers in trouble may also find it difficult to sell your house on the market quickly. If this is the case, you can try to sell your property to a real estate investor. It makes sense for you to contact real estate investors who specialize in buying pre-foreclosure properties and ask them to provide you with a cash offer on your home. Actually, selling a property to a real estate investor offers a lot of great benefits to borrowers who have a difficulty making regular mortgage payments. Nowadays, a lot of real estate investors are interested in purchasing properties which are about to go into foreclosure. That means that you have a good chance to sell your house at much higher price. However, the most important thing is that you’ll be able to stop a foreclosure and avoid its negative consequences.